Registered models will get the 10 benefits mentioned in the landing page. After having the registrat...ion, they will get complete documentation through mail. Registered Fashion Designers will get the 10 benefits mentioned in the landing page. After having th...e registration, they will get complete documentation through mail. 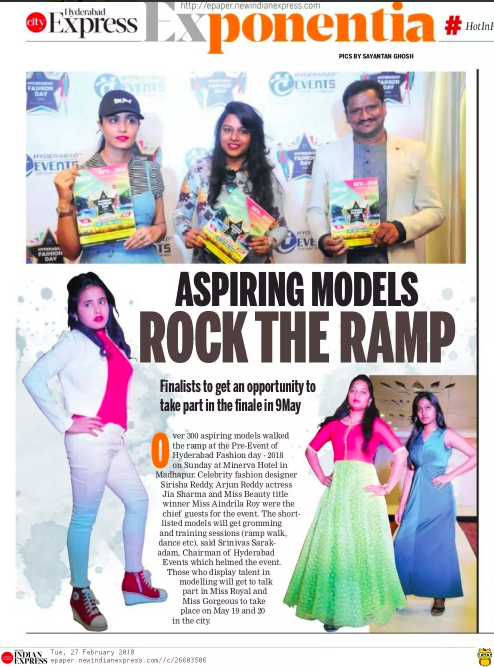 Hyderabad Events is proudly launching 300 Models and 60 fashion designers create a new buzz in the Film Industry and Glamour industry. The event is more glamorous with exclusive 20 stalls aiming to entertain the huge crowd of Hyderabad at the event. Are you a desperate Fashion Chic? Then this is for YOU!! Create a vibe with your elite FASHION. No limit to exhibit your talent - just ramp the show. An exclusive show which not only enlightens your talent but also creates an incredible opportunity in the Film Industry. Due to high demand for participation, hurry up now to reserve your place. 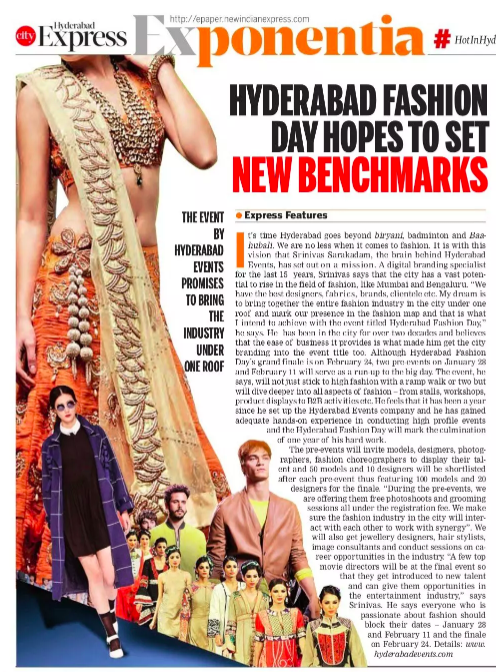 A grand launch of 300 models and 60 fashion designers – it is a new beginning for the Glamour Industry in Hyderabad. A step beyond the Fashion is meant to have participated. 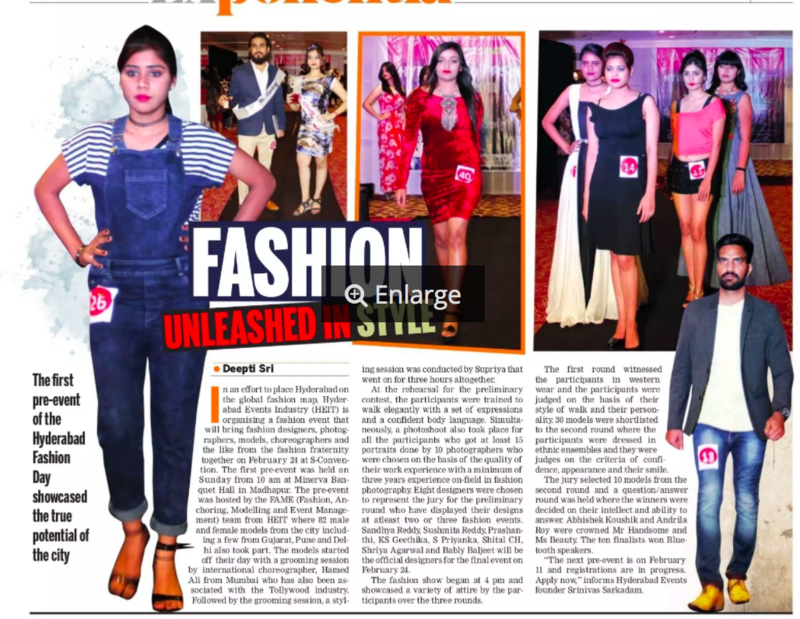 A one-stop opportunity to display your exclusive fashion models at your EXCLUSIVE STALLS and demonstrate them to the huge traffic at the event. Create the buzz with your attractions and make your prospective clients and also opportunity to design for the Film Industry which is unique. Don’t be afraid to start over. It’s a brand new opportunity to rebuild what you truly want. Limited stalls available due to high demand. Make your booking today. 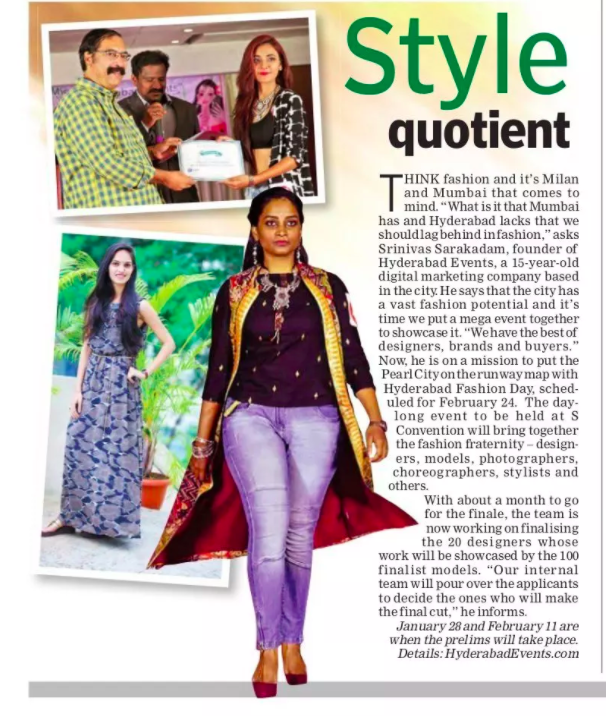 We welcome the businesses across Hyderabad from Fashion Institutes, Accessories, Jewelry, Food, Art, Retail, Photo-booth, and Traditional to Trendy clothing and many more categories accepted. 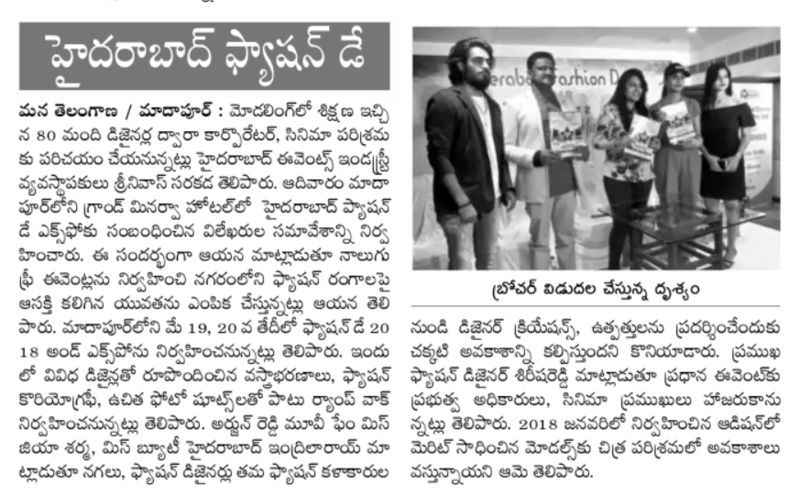 Make your business partnership with Hyderabad Events today!! Buy your space now and make your business revenue and brand identity.